Italian Cuisine. 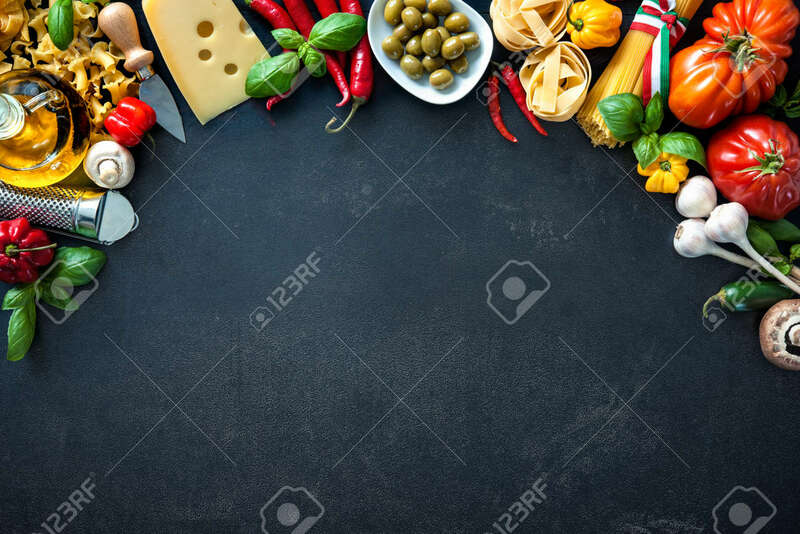 Vegetables, Oil, Spices And Pasta On Dark Background Royalty Free Stok Fotoğraf, Resimler, Görseller Ve Stok Fotoğrafçılık. Image 62207514.